1.Xiaoming Wang, Ruochen Wang, Chuang Ma, Xue Shi, Zhenshan Liu, Zhonghua Wang, Qixin Sun, Jun Cao, Shengbao Xu (2017) Massive expansion and differential evolution of small heat shock proteins with wheat (Triticum aestivum L.) polyploidization. Scientific Reports. 7(1):2581. doi: 10.1038/s41598-017-01857-3. 2.Yunze Lu, Ruiqiong Li, Ruochen Wang, Xiaoming Wang, Weijun Zheng, Qixin Sun, Shaoming Tong, Shaojun Dai, Shengbao Xu (2017) Comparative Proteomic Analysis of Flag Leaves Reveals New Insight into Wheat Heat Adaptation. Frontiers in Plant Science 8:1086. doi: 10.3389/fpls.2017.01086. eCollection 2017. 3.Qian Deng, Xiaoming Wang, Dongzhi Zhang, Xiaoming Wang, Cuizhu Feng, Shengbao Xu (2017) BRS1 Function in Facilitating Lateral Root Emergence in Arabidopsis. Internaitional Journal of Molecular Science 18(7). pii: E1549. doi: 10.3390/ijms18071549. Zhenshan Liu, Jinxia Qin, Tian X, Shengbao Xu, Yu Wang, Hongxia Li, Wang X, Huiru Peng, Yinyin Yao, Zhaorong Hu, Zhongfu Ni, Mingming Xin, Qixin Sun (2017) Global profiling of alternative splicing landscape responsive to drought, heat and their combination in wheat (Triticum aestivum L.). Plant Biotechnol J. doi: 10.1111/pbi.12822. 4.Kai He, Shengbao Xu, Jia Li (2013) BAK1 directly regulates brassinosteroid perception and BRI1 activation. J Integr Plant Biol. 55(12):1264-70. doi: 10.1111/jipb.12122. 5.Shengbao Xu, Damian Guerra, Ung Lee and Elizabeth Vierling (2013) S-nitrosoglutathione reductases are low-copy number, cysteine-rich proteins in plants that control multiple developmental and defense responses in Arabidopsis. Frontiers in Plant Science, 5;4:430. doi: 10.3389/fpls.2013.00430. eCollection 2013. 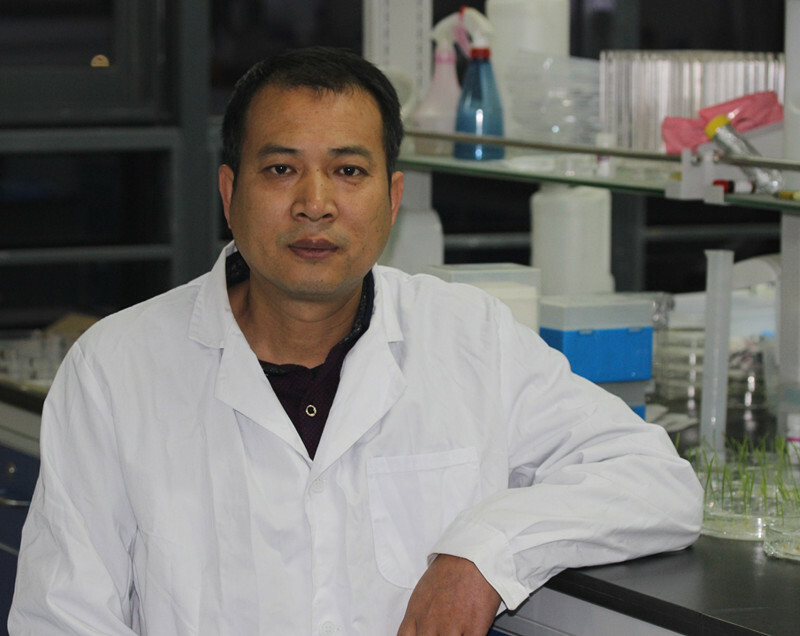 9.Xu Shengbao, Yu Huatao, Yan Longfeng, and Wang Tai (2010) Integrated proteomic and cytological study of rice endosperms at the storage phase. Journal of Proteome Research 9 (10), 4906-4918.